All I could think of was VILLAINS! Be sure to head on over to Focused On The Magic and check out this awesome hop! Have a magical day and thanks so much for stopping by! I LOVE the black and white villain photos! What a fabulous idea! I almost want to go back and switch all of mine to black and white now-it's the perfect touch! Great idea to go with villains Brenda, I had not thought of that one either.. 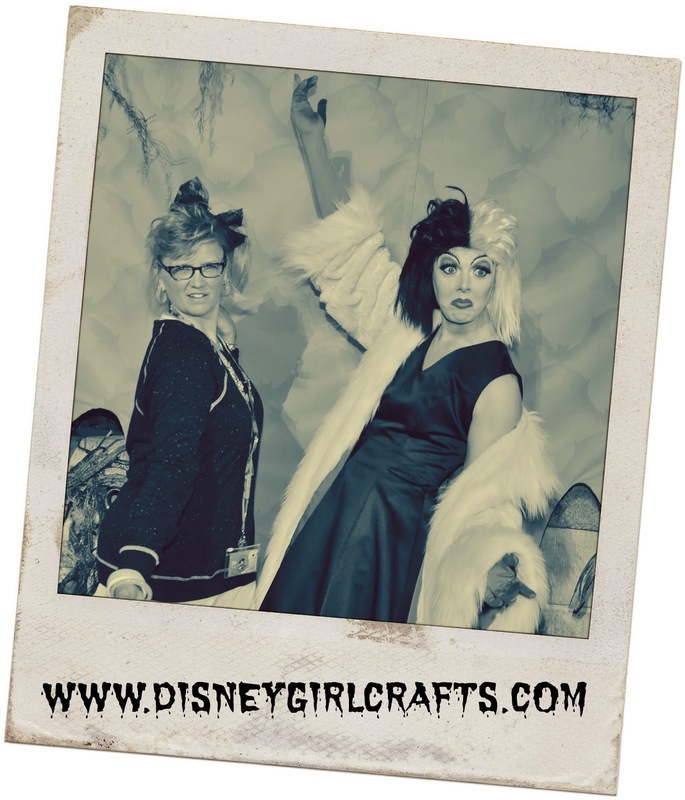 The one of Cruella is a hoot! Great choice for V and love the pics. The black and white works great. Thanks for sharing! I love your Cruella pic. I still haven't gotten a picture with her! 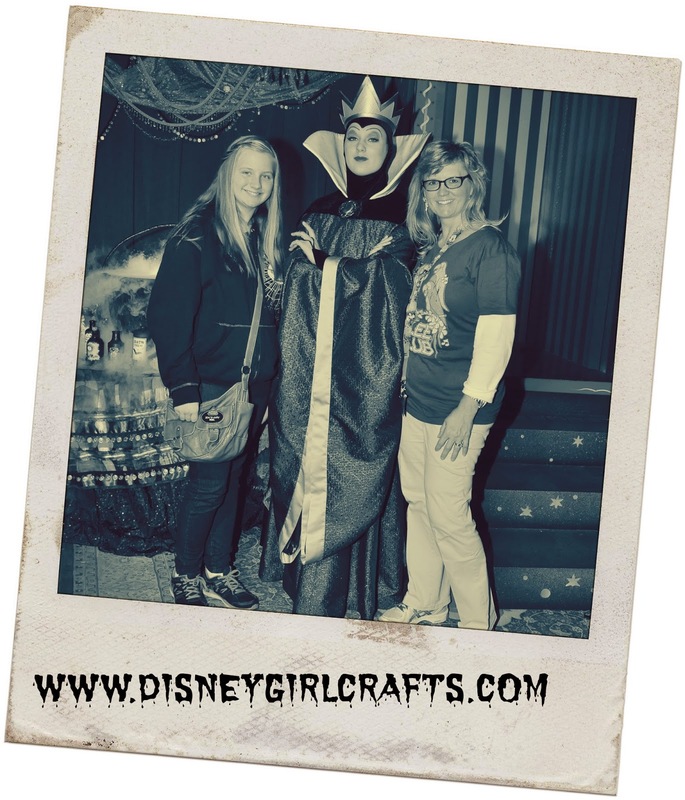 Maybe she will be there during the heroes and villains rock your disneyside party! Love it!! I hadn't thought of villains! Love the Polaroid black and white effect. So cool!! LOL!!! Love the pics Brenda...TFS!!! Such fun pictures! "Villains" never even entered my mind! It should have! My son is a big villain fan. Good thinking! Great pictures of the villains, I like how you've put them in black and white. I would love to meet Cruella! Is it odd that I want a villains hair? Love the pics. Cruella Deville made one of my students cry at Disney on ice last week . I know I shouldn't laugh but it was really funny because it was a boy.